Maynard L. Parker was an architectural photographer whose work appeared for much of the 20th century in House Beautiful, Architectural Digest, Sunset Magazine and many covers for the Los Angeles Times Sunday magazine, which was then called Home. 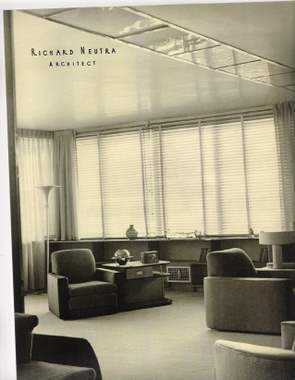 Maynard Parker photographed many well-known architectural homes, including the work of Richard Neutra and Frank Lloyd Wright. He shot cool Art Deco interiors in the 1930s, Traditional ranch homes in the 1940s and swooping modernist buildings in the 1950s. He also loved traveling to Mexico, where he composed beautiful images of its buildings and people. Parker used his own house on Lemoyne Street for this cover photo. Maynard Parker was born in 1900 and raised in New Hampshire. He loved to hitchhike and ride the rails, moving back and forth between the east and west coasts. He fell in love with Los Angeles by 1927 had settled into the city, working as a clerk at Mott Studios. In his early years, he entered photo contests under multiple names, since most competitions only allowed one entry person. He usually came away with multiple prizes that way. 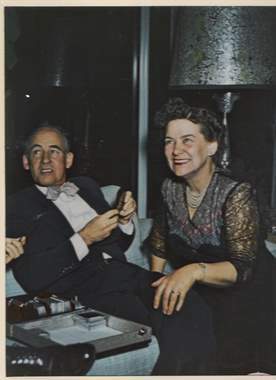 Maynard and his wife, Annie May Parker, moved to Echo Park in the late 1930s. They spent some time on Delta Street before building their lifelong home in 1939. That home, which stands at 2230 Lemoyne Street, soon showed up on the cover of home and garden magazines – along with Maynard’s two daughters, who could be seen picking flowers or having a picnic. 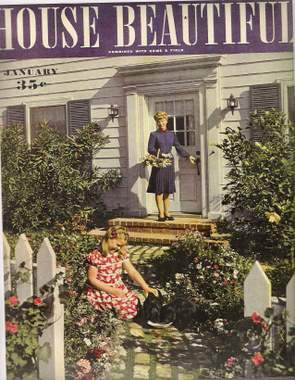 His daughter Ann showed up on a World War II era cover of House Beautiful. Eventually, his neighbors got into the act as well. Beverly Graham, who has lived in Echo Park since 1933, remembers posing for Parker as he shot various outdoor garden scenes. By 1947, Maynard had bought the two adjacent lots on Lemoyne. Using two Sears garage kits, he built a home next door to his that would house his daughter and new son-in-law for decades. That house, now under separate ownership, was featured in the 2006 Historic Echo Park Home Tour. “He loved his hill,” Beverly Graham recalled. Maynard Parker pioneered the use of stock photography, sending out images from the same photo shoot to multiple magazines. Parker died in 1976. But his images live on, as part of the historic archive at the Huntington Library in San Marino.